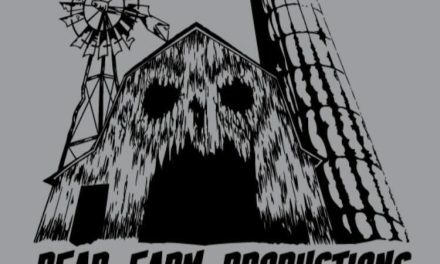 Spirit Halloween is on fire right now putting out new animatronics and animated props on their site almost every day this weekend. Last week they rolled out the Animated Fogging Basement Doors and the High Voltage Zombie Animatronic . Today they upped the ante with the Sitting Scare Clown. The clown sits in a chair and waits for your trick or treaters to show up and grab candy out of the bowl in his lap. Easy enough, right? Wrong! As soon as you make a play for the candy the Clown’s head pops up and startles whoever is near. Apparently the clown only has one phrase, “Surprise! Hahahaha”. I like the idea behind the clown but with a $149.99 price point it does a bit steep for a prop that doesn’t do a lot or say very much. Like most of the new props I will have to see him up close before I decide to make a decision on whether or not I should bring him home. 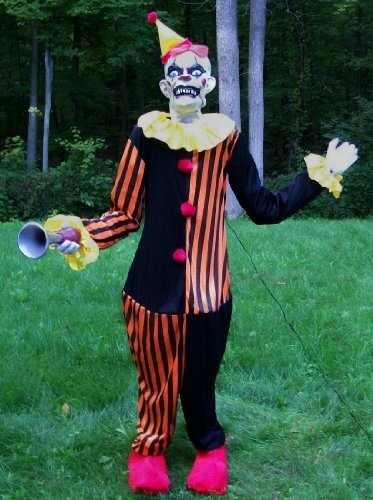 The Clown has a ton of potential and if I do get him I might have to change out the face and put a scarier mask on him. I’ve never been a fan of clowns with sharp teeth. 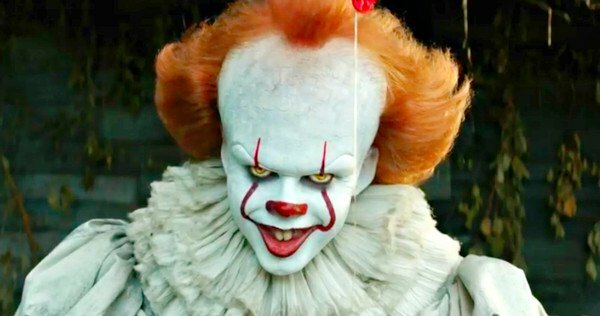 I think a clown should look as realistic as possible and by having sharp teeth it makes it seem a little over the top. The prop is available now at Spirit.com but he won’t ship until later this month. Right now the wholesalers are still getting their inventory in for Halloween so it won’t ship right away. But a few weeks won’t kill you. It’ll be there in time for Hallowenn. 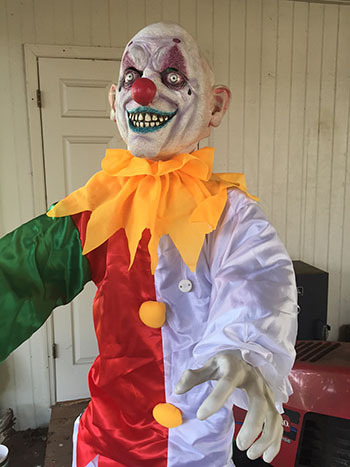 The Sitting Scare Clown Animatronic runs on 4 AA batteries, which aren’t included. He is activated by sound and motion so he can detect when someone is getting close in order to jump up and scare the bejesus out of them.